Welcome to the very first edition of the Community Transmission the brand-new Star Wars Battlefront II Community update. Moving forward, what can you expect? Our goal is to provide you with overview of everything that’s happening during the month, the new content that’s coming, as well as addressing some of your burning questions. Occasionally we may focus on a specific topic and dedicate an entire edition to just that. We expect the Community Transmission to evolve over time and you, our Community, are going to be at the heart of this evolution. But enough of the introductions, we’ve got a lot to talk about so let’s dive straight in. For the first time in Star Wars Battlefront II, you will be able to play as Ewoks. 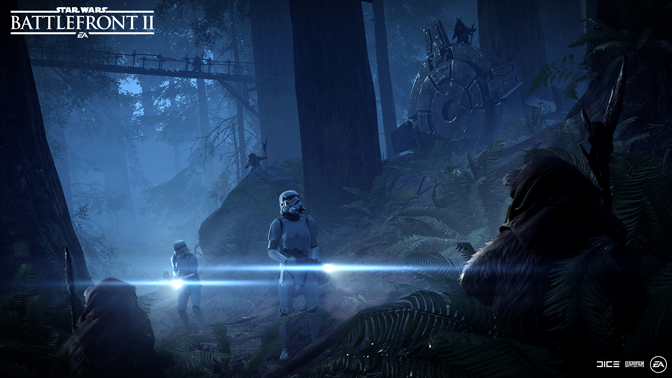 Take to the forest moon of Endor in this new game mode, Ewok Hunt. The ambush begins as the Ewok attacks the unsuspecting stormtroopers, using spears, Wisties, and whatever abilities they can muster to take down the intruders. 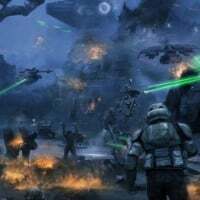 Each defeated stormtrooper spawns as another Ewok, multiplying until the Empire’s forces have been completely eliminated, and the Ewok celebration can begin. Imperial forces will need all their training to survive until their evacuation arrives. Do so, and they’ll make it off of Endor and claim the win. 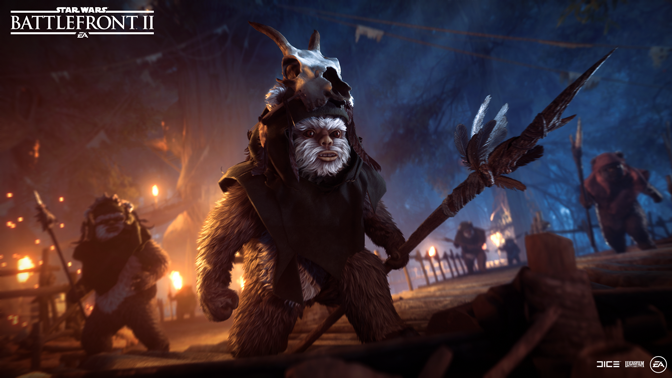 You can read more about the Ewok Hunt game mode here. The addition of new appearances are some of the most requested items to date amongst the Battlefront II Community and we’re pleased to confirm that more are on the way, starting this month. Heroes aren’t the only ones getting some new Appearances, as Troopers are also going to be receiving some brand-new looks. We know this is something that many of you have been asking for, so we can’t wait to see them in action across the galaxy. In total there are forty new Trooper Appearances, including new Officer Appearances for both the First Order and The Empire.  Rebels will be receiving Appearances across all Trooper classes, including the Heavy Quarren Rebel and the Twi’lek Specialist. Heavy Zabrak and a Duros Officer are just two of the appearances that you’ll have available when playing as the Resistance. In the next update you will be able to convert Crafting Parts to Skill Points. Simply head into the Collection menu, select the Hero, Class or Vehicle of your choosing and you’ll be able to purchase skill Points, using your already existing Crafting Parts. One Skill Point will cost you 40 Crafting Parts. Winning a round will now provide you a small bonus to the Credits you earn, making those wins that little bit extra valuable. A great way to earn some additional Credits towards the Appearance you have your eyes set on. We know that there has a been a lot of discussion within our Community about the release of Season Two and we can confirm that yes, it is coming. As many of you have suspected, all our focus was on the Progression Update, as we felt this was the most important improvement to the game that we needed to make. 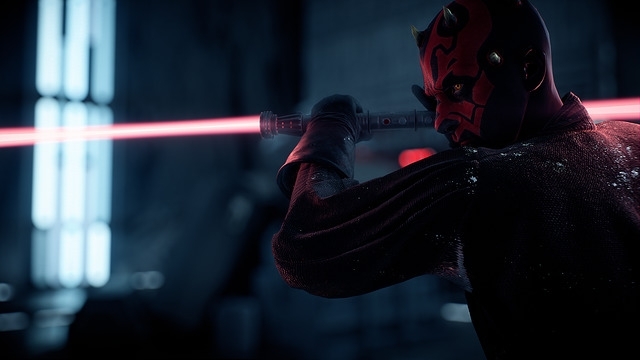 As we move forward with Star Wars Battlefront II, there are two types of content update that we will be releasing. The first is in the same style as the Night on Endor Update that we’re releasing on April 18th, and the second is Seasons. 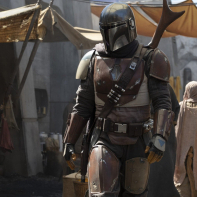 Seasons will focus around a specific theme (such as a new Star Wars film, or an anniversary in the Star Wars Universe) and will usually span multiple months. In March we launched the Progression Update, April is Night on Endor and moving forward we’re committed to keeping up this cadence of content updates. We can confirm that Season Two will be coming in May, and you’ll get more details a little closer to the time. Remember that there’s a new Challenge every day and a bonus one over each weekend. 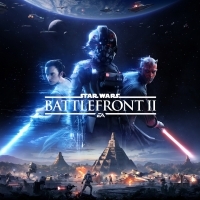 We’ve heard a lot about the Iden the last couple of weeks and the consensus amongst the Community has been that she was a little overpowered. We agree, and as a result of this we’ve removed the double stun from her Stun Droid. We’ve also increased the stun duration from 0.5 to 0.9 seconds. The intent was to give players a chance to roll away from the second stun and provide some skill reward. This became confusing and rarely did it play out as we originally intended. What we saw was players being stunned for a total of 2.3 seconds, which usually resulted in defeat. We’ve also made some tweaks to the core combat system. We have improved the melee combat responsiveness for all melee attacks including things like lightsabers and Phasma’s staff attack. 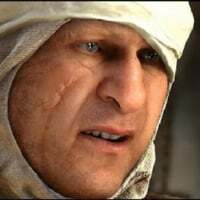 Timing for effects, audio, camera shake, and the application of damage has been aligned to the expected moment of the impact to make the melee combat experience tighter and to reduce the feeling of latency. You’ll be able to read about all the fixes coming in the next update when the full patch notes go live. Keep your eyes on our forums to be amongst the first to view them. Q) When can we hear more about Season Two? A) As many of our community have suspected, the Progression update was given our primary focus. Season Two is on the way and we can confirm that you’ll hear more about this in early May. Q) Levelling Hero Starfighters is very slow, are there any plans to address this? A) We’re currently looking at a few ways we can address this. It is on our radar. 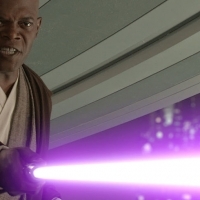 Q) Are there any plans to replace the in-game holographic effect? A) Yes there is. You will hear, and more importantly see this in action soon. We’re aiming for the first look at this to go live at the same time as Season Two arrives. As always though, things are subject to change, but this is our current target date. Q) Many people would love to see Starfighter Assault get added to Arcade, is this something we can expect in the future? A) We share the same love for Starfighter Assault, as a lot of our Community do. While we have nothing to announce in terms of dates, this is something we are actively looking at. Q) Spending Skill Points pre-round would be an excellent quality of life addition to the game. Currently it’s frustrating having to back out of a game just to spend them. Any plans? A) We agree and fully support this. The current goal is to have this implemented at the same time Season Two arrives. 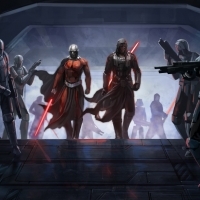 Q) Can we expect to see something Clone Wars related in the future? 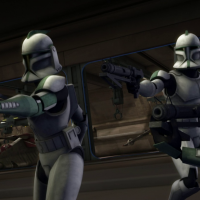 A) We hear you and will update you on anything Clone Wars related in the future. Q) Communication is something that the community has been requesting more of. What are your thoughts now that the Progression Update is out? A) We appreciate that communication has probably not been at a level that our players have wanted. The Community Transmission is a first step towards improving on that. We will continue to strive to be better and if we falter, we’re sure our community will let us know. You can find more of his work over on his Flickr page here. While this is the start of the Community Transmission series, we want to hear your feedback. Let us know what you think by dropping us a note below or reaching out to our social channels. We want to hear your feedback, as moving forward the goal is to have the Community Transmission adapt to what the Community wants. We’ve got more to come. 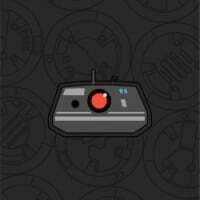 Question, is the Ewoks going to have star cards? Skins locked to classes? Yikes. Any info on how much these appearences will cost? Yep disappointed. 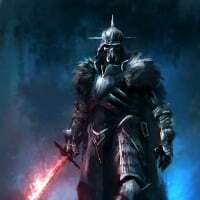 At least OG BF2 is getting BW compatibility! How often will we get these transmissions? this sounds amazing! 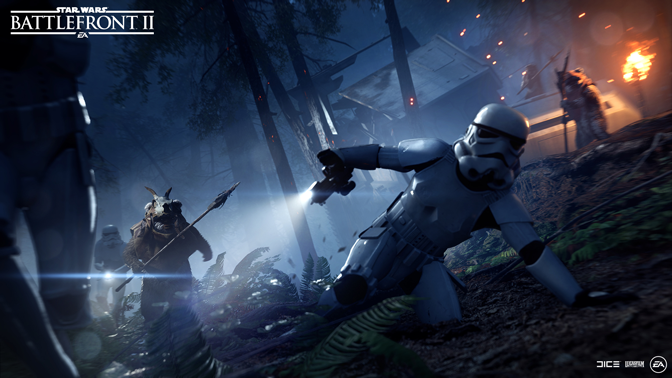 The Ewok hunt mode sounds like a lot of fun. And it's nice that this will open up communication more effectively. Great work! This is a really important step for the communication, and you managed to do it well! The idea with the transmissions is a good one, very nice. I cannot tell if this is an April Fool's joke or something. It is so awesome that I did a little happy dance, but still. Love (I don't mean that in a weird way) you guys, keep doing what you're doing. Ewoks? Where is SEASOON 2? 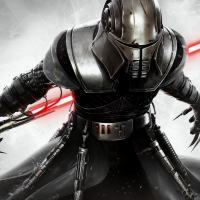 Where are new weapons and starcards? Wow, y'all so negative. We're finally getting communication and yall are disappointed. Lmao. I hope we get to see some more creature battles in the future. Wampas anyone? Are you kidding me, this pretty much confirms a Solo season. I don’t think I’ll continue playing at this rate, this just disgusts me. A lot of love and effort went into this post and the Devs continue to work while we wait which is great and I bet we're gonna get some beautiful content down the line. 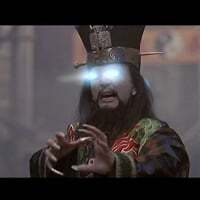 That being said... Stating Season 2 is STILL COMING SOON is STILL a kick in the face. Okay, great, May. 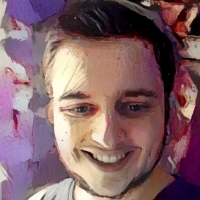 Aaaand a hint of what the content is? Regardless, content is on our doorstep now instead of miles away. Progress is progress. Any chance of ewoks as reinforcements? There was a leak which appears now to be correct showing this... so i'm not surprised or bothered by it. Ewok Hunt sound pretty innovative! This was edited on the 11th? I don't know how I feel about that, but I can kinda understand why they are doing this. I think maybe to encourage you to play more classes. For example, I love the Duros race but he is unique to heavy but I don't play heavy that often, I will play heavy more to play as a Duros. 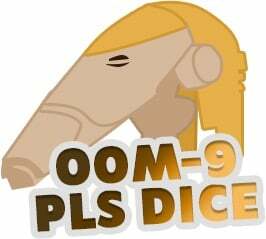 Or create more variety of races on the battlefield so we don't have bunch of Rodian of ever class running around. My guess why they did this. We will see how it goes and how people react to this. Hope we get more updates and get more communication in the future. 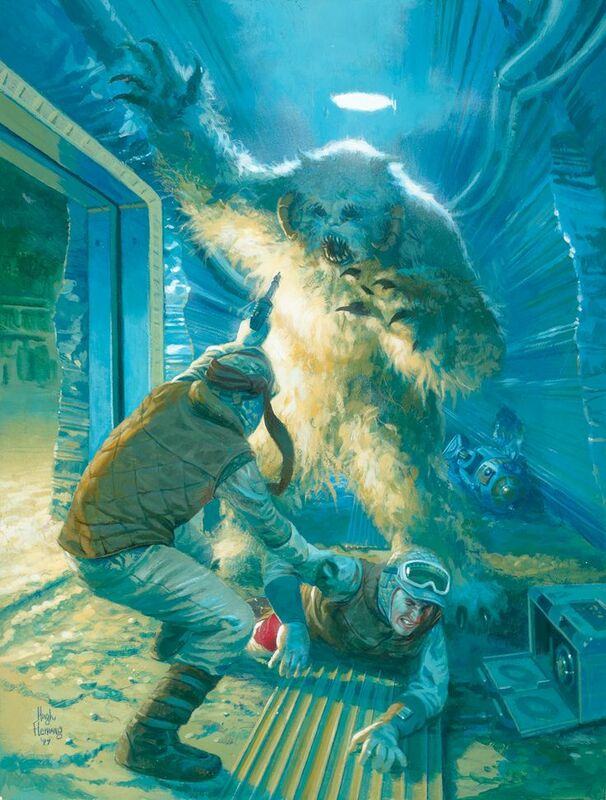 Also hope we get a Wampa hunt in the future too! Is that all for what's coming this month? Anything left unannounced perhaps? Deeply disappointed by this game and the way it is being handled. My hopes in this game after April's announcement: LOST. 7 Hero Skins is absolutely nothing, some of them were already seen in data mines at launch, and the rest are just lousy + insignificant appearance changes. No Clone Legion skins either? So that's just additional content you're gonna hold months back and hope that we're surprised when it's revealed, man what an absolute disappointment. We've waited months for absolutely nothing, just another big fat SOON™ on Season 2. I'm awfully pessimistic what future content to expect, because this is quite underwhelming. Sweet patch. Night in Endor. Night on Hoth, anyone? Night on Kashyyyk? I foresee you planned for endless possibilities. It means the post was ready on the 11th of April (they prepared it in the restricted section of the forum), today they moved it here. Q) Will the same go for Trooper/Hero skins? 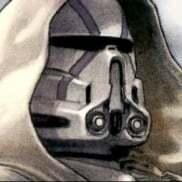 E.g., It would be great to add the Endor/Hoth skins to your heroes on the Endor/Hoth maps, respectively, and not have to back out to change skins "hoping" to play the appropriate maps. Yah if they put out a Solo season next month "which will usually span multiple months", I'm a little worried. 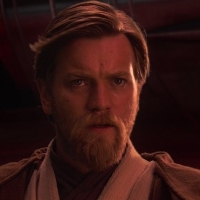 He also said the season might revolve around an anniversary in the Star Wars universe, so here's to hoping that next month will be Revenge of the Sith's (May 19, 2005) season instead. With Obi-wan, Anakin, Grievous and Dooku. I'm sure they are forced to do Solo though. This game has so much potential, I hope conquest mode is coming more than anything. Ewoks! Yes! That's what everybody was looking for! After weeks being excited not for news, but for the announce of news, Is this what you have to offer? I haven't played for weeks and I'm pretty sure that the incoming Solo Season aren't making me come back. Big disappointment. Any ETA on Conquest or the Conquest-like mode you are working on? 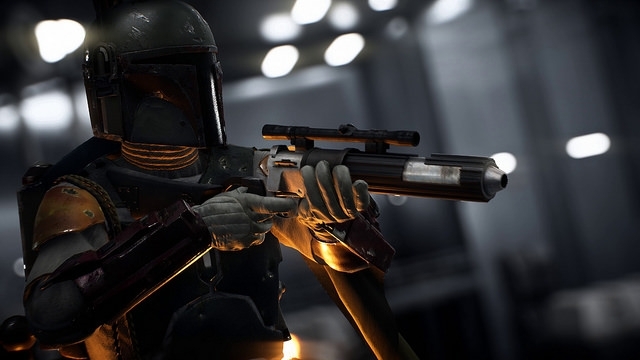 Visit The Star Wars: Battlefront Community for clans and tournaments on the PlayStation 4, Xbox One, and PC. Established 2007. Yah if they put out a solo season next month "which will usually span multiple months", I'm a little worried. 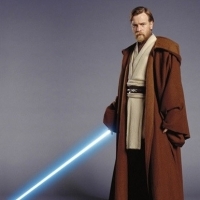 He also said the season might revolve around an anniversary in the star wars universe, so here's to hoping that next month will be Revenge of the Sith's (May 19, 2005) anniversary instead. I'm sure they are forced to do Solo though. This game has so much potential, I hope conquest mode is coming more than anything. 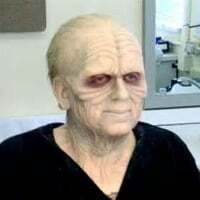 10 year clone wars anniversary is 2018. Was always going to be. 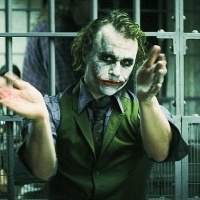 People doubted those leaks but it was always going to happen. And do you know what else? Rainbow Clone Troopers. When does the patch drop again? Wednesday? 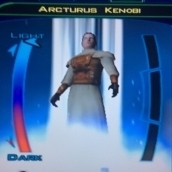 I had seen a video and I was expecting obi wan kennobi to appear finally in the game!